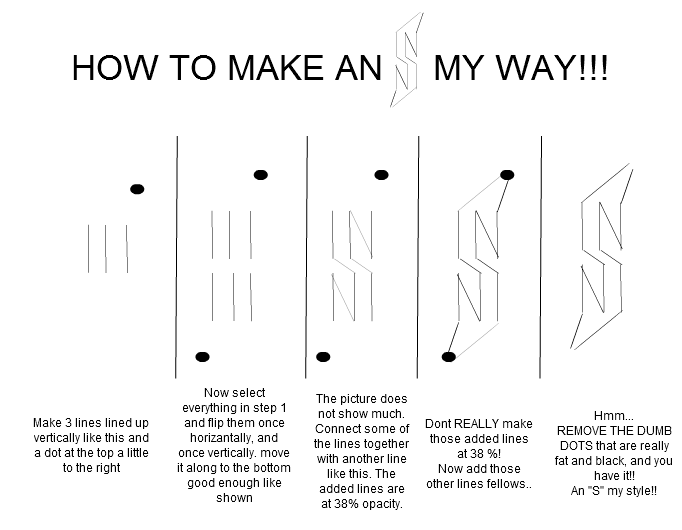 A tutorial for making a cool "S"
The picture does not show much. Connect some of the lines together with another line like this. The added lines are at 38% opacity. Dont REALLY make those added lines at 38 %! Now add those other lines fellows.. REMOVE THE DUMB DOTS that are really fat and black, and you have it!! HOW TO MAKE AN MY WAY!! !